Tourist groups, so that every group member can freely move around and simultaneously listen to the guide. Smaller events (short presentations, opening speeches), where simultaneous interpretation services are required only for one language and for a short time by a small participant group. This technical solution does not include an interpreters’ booth. The system consists of a wireless microphone for the interpreter and wireless receivers / earphones for participants. The system uses a radio signal which enables system functioning also outdoors. Important! 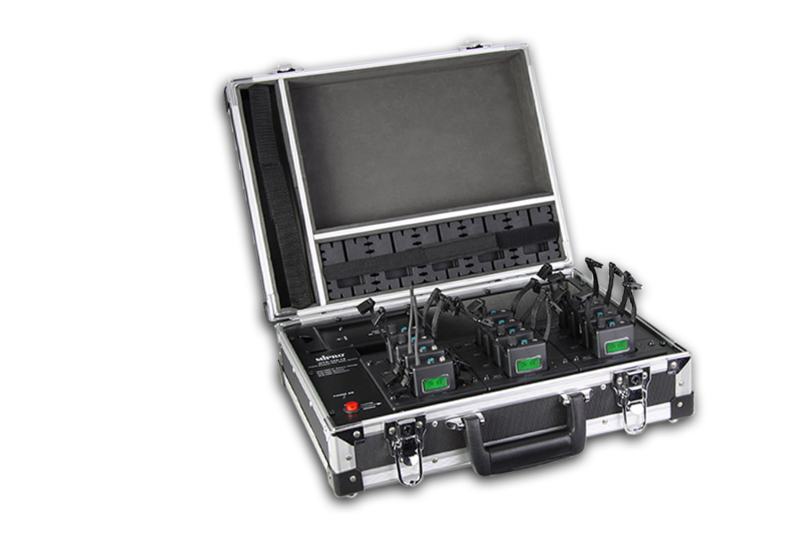 The Tour Guide system cannot replace simultaneous interpretation equipment during long-lasting or several day long events. You should consult on the use of this system (Tour Guide) with the corresponding simultaneous interpreter in advance. Baltic Conference Rental is one of the most advanced conference rental equipment providers in the Baltic States. We offer a full range of services – from planning based on the nature of your event down to on-site equipment installation and technical support.